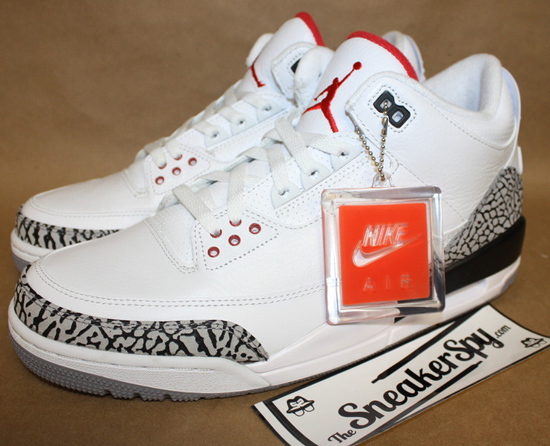 The Air Jordan 3 Retro '88 is one of the most anticipated sneaker releases of 2013. After rumors of when they were to release, an official date is now known. Check out the auction here. You asked for it and after twelve years, "Nike Air" has returned to an Air Jordan Retro other than the Air Jordan I and II. 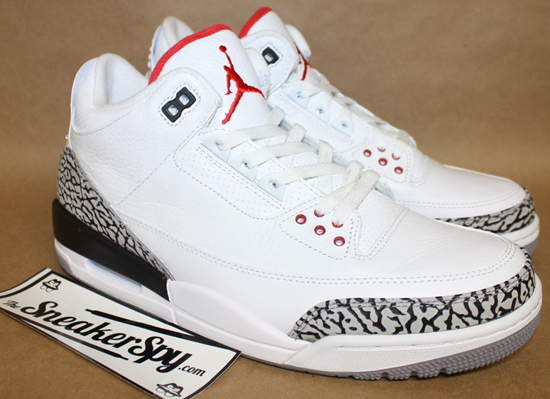 This time its back on the Air Jordan 3 Retro in the original white and cement grey colorway. 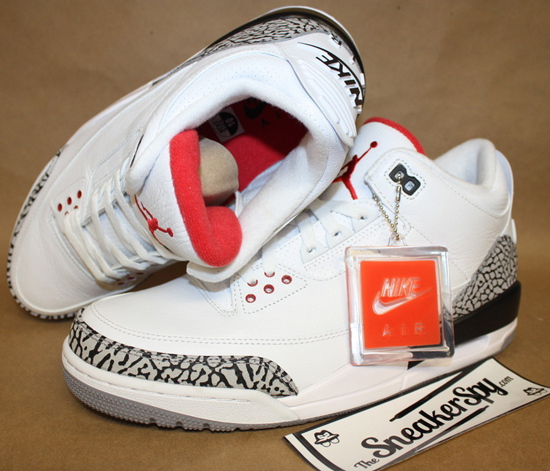 Made to commemorate Michael Jordan's 50th birthday this year as well as to pay homage to his winning of the 1988 Slam Dunk Contest in which he wore these Air Jordan III's. 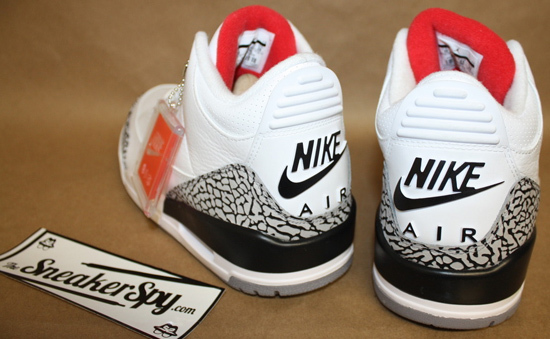 Rumors as to when this Air Jordan 3 Retro '88 was going to release was anything but confirmed. That is, until now. Expect to see these at select Jordan Brand accounts worldwide as a limited QS (quickstrike) style release on Wednesday, February 6th, 2013. Retail is set at $200 for these and, they will come with an orange "Nike Air" hang tag. 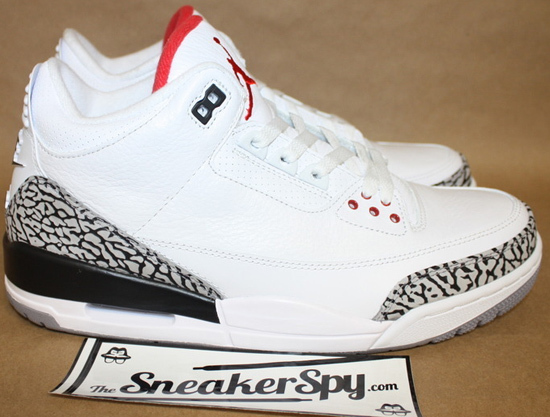 Enjoy the new images below of the Air Jordan 3 Retro '88. So far this is the only Air Jordan Retro scheduled to release featuring "Nike Air" if/when more information becomes available on future releases I will be sure to let everyone know. If you're looking to grab a pair of these, check in with your local spots now to see if they will be receiving these in the coming weeks. Those looking to secure a pair now can, click here to buy them on eBay.